What can ScriptRunner do? 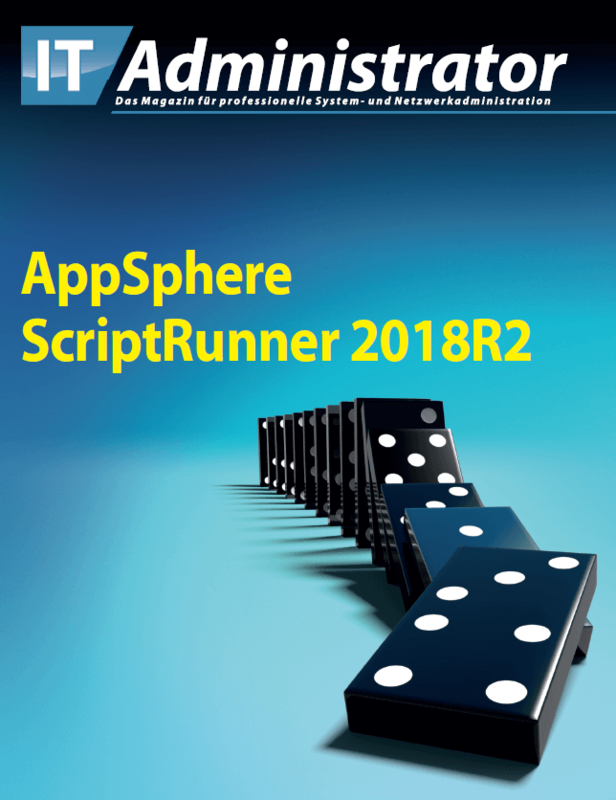 For the IT-administrator's issue 5|18, two authors tested our software ScriptRunner in detail. "The focus of the complete solution for PowerShell is to support developers, administrators, IT managers and helpdesk staff. ScriptRunner automates processes via interfaces, allows easy integration into other solutions, such as PRTG, monitors processes and visualizes the results in dashboards. ScriptRunner logs the results, and the program also enables simplified delegation to other employees, for example in the help or service desk." The authors' conclusion: ScriptRunner is a real DevOps tool, but not just a development environment. System professionals and administrators, on the other hand, who want to automate their administration and support tasks in the network and rely on scripting, will find a powerful and professional tool here. Not only can they work with PowerShell, because the software even supports Visual Basic scripts or those on Unix/Linux systems. We will be happy to send you the download-link for the report free of charge by e-mail. Please fill out the form. Request a free test report here!